When my favourite brother-in-law (are you reading this, Randy?) 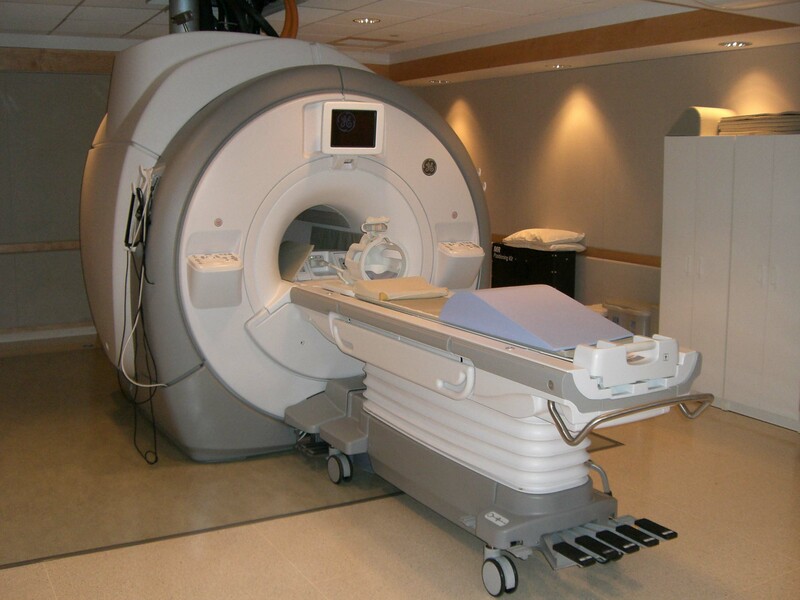 had an MRI last week, just hearing about it brought all kinds of unreasonable emotion to my otherwise rational mind. Ever since I can remember I’ve had a fear of enclosed spaces, and the first time I can recall that gut-grabbing feeling is when I was playing hide-and-seek with some friends. Although the bed I was hiding under was open on all four sides, the sight of the mattress just a few inches above my face had me scrambling out of there, not caring that I might be found. 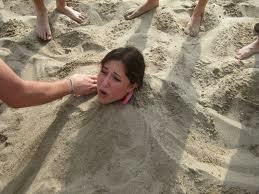 My first claustro-meltdown happened in my early teens. I was at an informal community baseball game and many of the spectators sat on blankets along the sidelines. My team was up to bat and I was standing there, innocently waiting my turn, when the world as I knew it ceased to exist. My cousin had snuck up behind me and thrown a blanket over my head, and then held it tight, both arms wrapped around my waist. I screamed and kicked in terror. He thought I was reacting like a typical girl and continued to hold on. Nearly unhinged, and hardly able to think, I decided to go limp about the same time my mother noticed and yelled at him to let me go. The whole thing might have lasted thirty seconds, but I was completely undone. My poor cousin watched as I lay on the ground, a sobbing, shuddering mess. I’ve since forgiven him, but I’m sure that experience served to make my fear even worse. The problem with this phobia is that I’ve missed out on some really neat experiences. I simply can’t snorkel — that mask over my face would make me crazy in seconds. The thought of going into a cave makes me want to throw up, and I’ve missed seeing castle dungeons and cathedral crypts. I tried to join my husband on a fabulous tour of a coal mine, but turned away in terror when I saw the tiny elevator that would take us down — never mind being in the mine below. I’m okay to fly, but in small planes I have to make a real effort to concentrate on things other than the tiny tube of steel I’m enclosed in. Surprisingly, elevators are okay, but justing thinking about having both of my feet attached to a snowboard gives me the heebie-jeebies. When I was young, there were a couple of high-profile kidnapping cases where the victim was enclosed in a coffin-sized box and buried, with only a small tube for air. Although just a child when I overheard these stories, the very thought made me break out in a cold sweat. And, more recently, what about those poor Chilean coal miners? Well, let’s just say I wouldn’t have been down there in the first place. I hate these claustrophobic feelings, and I wish I could just ditch the whole mess and get on with things, but it doesn’t work that way. Instead, I honour Randy, and any of you who can enter the MRI of Horrors, get through the procedure, and exit it, still sane, as my heroes. If I ever need an MRI you won’t have to drag me there kicking and screaming, because it ain’t gonna happen unless this girl’s out cold. Next Post Everything I know about leeches, I learned at the cottage. My husband shares the same affliction after being wrapped up in a rug by a ‘friend’ and trapped when the guy sat on his chest. 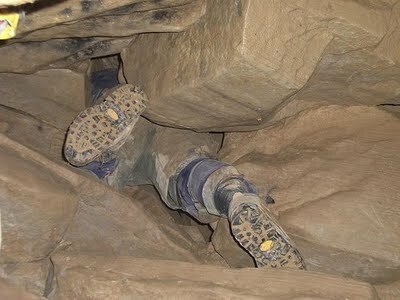 We have never been able to visit underground mines, tunnels or any site where squeezing into tight spots is required. Frankly, I don’t think I have missed a thing! I would read this piece to him if I thought he could bear to listen to the woes of a fellow claustrophobia sufferer – but you’ve done such a great job in your descriptions I know it would just set his knees knocking and his heart racing! Keep up your posts. I love reading your stories. Oh, my … just thinking about that rug incident gives me palpitations. There’s nothing to do about the fear though. It’s just there, and always will be. Whew! Thank you for that. Phyllis, that’s dreadful. I couldn’t have imagined it as well, though, without your description.